While the world hopelessly waits for the Avengers 4 trailer to drop, fans of Marvel are surely going to be excited to know that the upcoming untitled Avengers film will include time travel of some sort. Believe it or not, Guardians of the Galaxy star, Karen Gillan, who portrays Nebula in superhero movies accidentally talked about time travel and now everyone is thinking that it is a part of Avengers 4. "We could probably make it happen. Time travel." In addition to this, Karen also talked about her character Nebula, who was among those heroes who actually survived at the end. As per Karen, she always knew her character will survive and that she will star in the next part. "I kind of knew, because there was never a sequence I had to film where I was disintegrating. That was a small tip-off. But I was really excited to survive for the next movie," she further said. 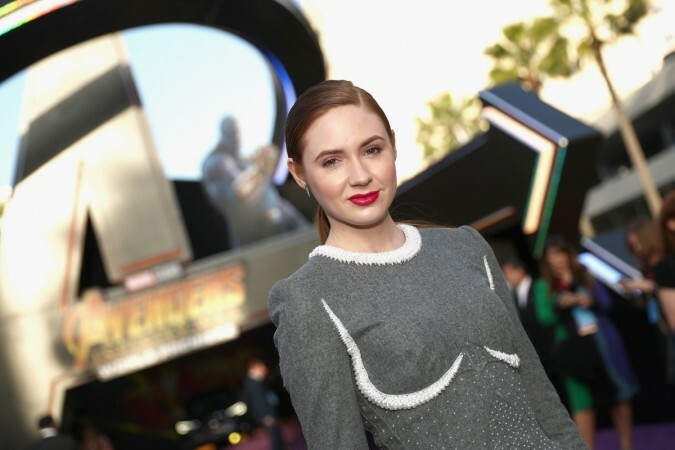 Although Karen Gillan did not directly confirm time travel in Avengers 4, if it does happen then it would totally change the story's arch in the best way possible. Apart from this, it was earlier speculated that Dr Strange and Time Stone is the key to defeating Thanos. In Avengers: Infinity War, Thanos is shown looking for all the Infinity Stones so that he can wipe away half the population from this Universe. In his search, he meets Dr. Strange, who gives him the stone, even though at the very beginning he has said this to Tony Stark, "If it comes to you, or the boy, and the Time Stone, I will not hesitate to choose the Stone." Even after saying this, Dr. Strange chose Iron Man over Time Stone. His action made many to believe that before passing the stone to Thanos, Strange did see something in past or future which prompted him to give the stone without any fight. At the same time, Avengers 4 co-director Joe Russo has also hinted that one out of six stone holds the power of defeating Thanos for good. It will only time tell, which stone the acclaimed director was talking about.